Dubai: A Dubai-based marine-solutions firm is making global history as a partner in a clean-up effort of the world’s largest ocean patch of floating plastic that is twice the size of Texas lying between San Francisco and Hawaii. 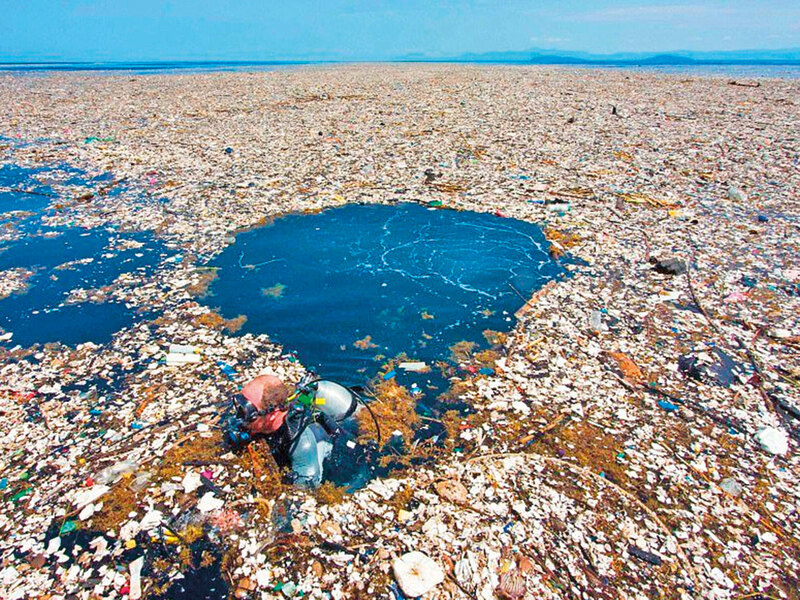 For years, the Great Pacific Garbage Patch has baffled scientists and conservation groups searching for a means to remove the 1.8 trillion pieces of plastic trapped in the garbage blob floating on the ocean surface. But thanks to a Dubai-built 600-metre-long screen that reaches three metres below the ocean surface, the plastic waste in the Great Pacific Garbage Patch will be skimmed into a massive U-shaped boom powered by the natural currents as part of the largest maritime clean-up of its kind in human history. Ecocoast, a marine and coastal specialist based in Dubai Industrial Park, designed and built the geo-textile screen for project leaders The Ocean Cleanup, a Dutch foundation which launched its revolutionary cleanup system from San Francisco Bay on September 8 to global fanfare. The remediation equipment is now on scene — 1,200 nautical miles off the American coast — and is making its first attempts to tackle the patch, one of five around the world said to contain a total of five trillion plastic pieces. The project goal is to scoop up 50 per cent of the first plastic patch within the next five years onto waiting marine vessels, then ship the material to shore where it will be recycled. Boyan Slat, founder and CEO of The Ocean Cleanup, said the project would not have been feasible without partners around the world, including Dubai-based Ecocoast. “I am incredibly grateful for the tremendous amount of support we have received over the past few years from people around the world, that has allowed us to develop, test, and launch a system with the potential to begin to mitigate this ecological disaster. This makes me confident that, if we manage to make the technology work, the cleanup will happen,” Slat said in a statement. I am incredibly grateful for the tremendous support we have received from around the world, that has allowed us to develop, test, and launch a system with the potential to begin to mitigate this ecological disaster. In an exclusive interview, Dana Liparts, director and partner of Ecocoast, said being included in the project is an honour and a welcome opportunity to help remediate marine ecology, adding that there are predictions that there may someday be more plastic in the sea than fish if preventive measures don’t start now. Liparts and her partner Lachlan Jackson, managing director at Ecocoast, started the marine-solutions firm in Dubai in 2009. “We are absolutely thrilled that The Ocean Cleanup’s first clean-up system has successfully reached the Great Pacific Garbage Patch and has today been installed and is ready for operation,” Liparts told Gulf News. 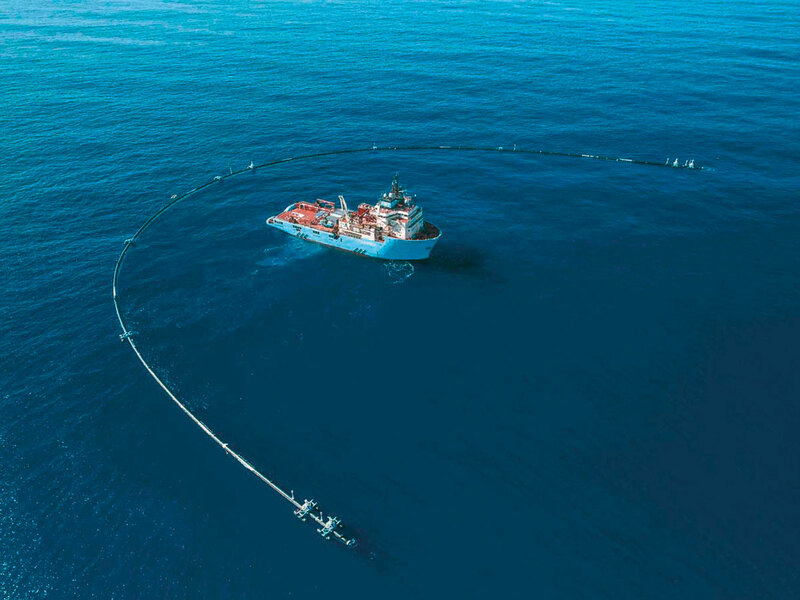 Liparts said the screen they provided to the project passed rigorous testing in the North Sea before its deployment in the Pacific and is designed to catch floating garbage but not in any way trap marine life which can swim under the skirt which is attached to the surface boom. “Our team worked tirelessly to design and manufacture the screen for the system. 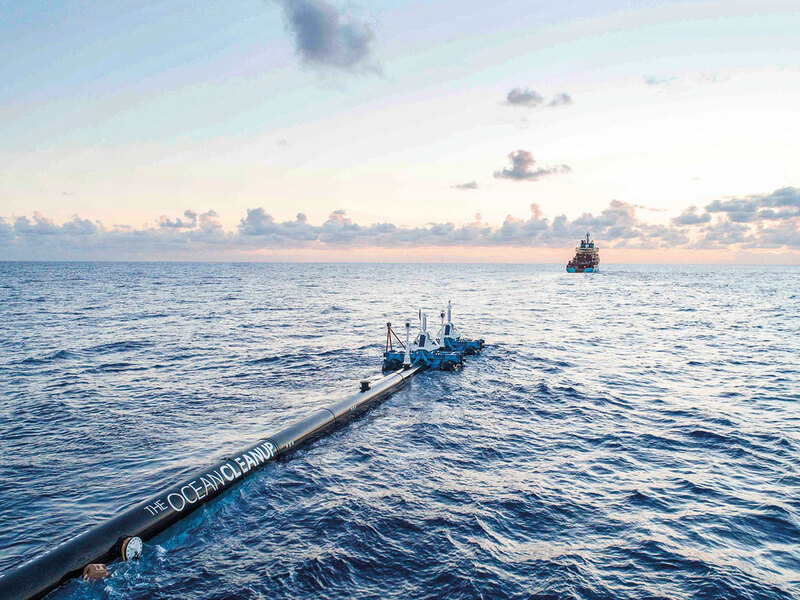 Using the experience we have gained over the past 10 years designing marine protection systems to design and manufacture the first screen to successfully pass rigorous testing and reach the Great Pacific Garbage Patch is monumental for us at Ecocoast,” Liparts said. According to The Ocean Cleanup on its website: “Once successful, and if the funding is available, The Ocean Cleanup aims to scale up to a fleet of approximately 60 systems focused on the Great Pacific Garbage Patch over the next two years. The Ocean Cleanup projects that the full fleet can remove half of the plastic in the Great Pacific Garbage Patch within five years’ time. This is in line with The Ocean Cleanup’s ultimate goal: reducing the amount of plastic in the world’s oceans by at least 90 per cent by 2040.